100's of Used Vauxhall Coloured Door Mirrors - In Stock ! Lots of Used Coloured Corsa Door Mirrors - In Stock ! Lots of Used Coloured Cavalier Door Mirrors - In Stock ! 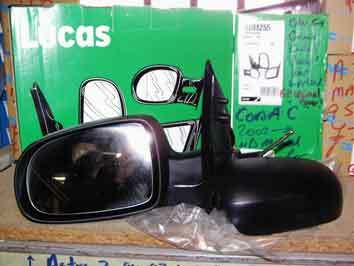 Lots of Used Coloured Vectra Door Mirrors - In Stock ! Just a couple of miles from Junc.9 of the M1. 1 Mile from Whipsnade Zoo.